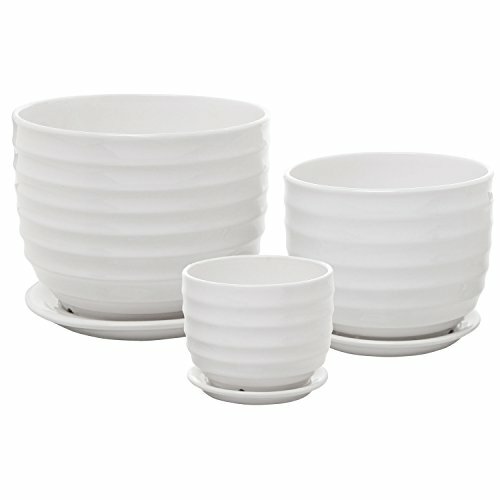 Brighten up any space with this sleek set of 3 ceramic planters. Ranging from small to medium sizes, this versatile set of planters can be used to display succulents, flowers, cacti, or a wide range of other home decor. Use all 3 planters to form a lovely centerpiece on your dining table, or use them separately to bring a modern style all across your home. Featuring a ribbed exterior and a drainage hole to simplify plant maintenance, these plant pots are both stylish and practical.